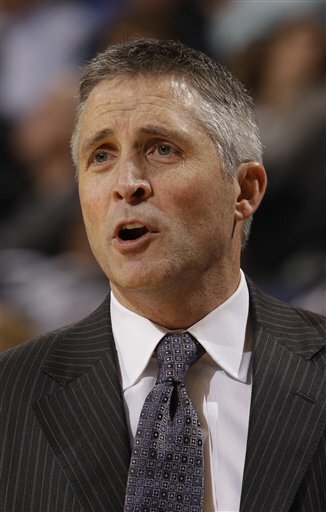 Newly hired Georgia Tech men’s basketball coach Brian Gregory is a 1990 graduate of Oakland University, but in 1985 he started college career at the U.S. Naval Academy. And if there was ever a good year to be on the Navy basketball team, that was it. Gregory ended up playing with Hall of Famer David Robinson as Navy went 30-5. The Mids won the CAA and upset Syracuse in the NCAA tournament en route to advancing to the Elite 8 for the first and only time in school history. Gregory sat down with the Atlanta Journal Constitution’s Doug Roberson, who asked him the key question about his year at Navy: Did you ever try to dunk on David Robinson? “No. When you realize you want a career in coaching, you don’t do something that could get you hurt,” said Gregory. Coincidentally, Navy’s senior point guard that season was Doug Wojcik, who also interviewed for the Georgia Tech job last week. Wojcik, Navy’s career assist leader, is currently the head coach at Tulsa.